Hi, my name is Roger Bohn. I was born in Frederick, MD, about 50 north of Washington DC and about 50 west of Baltimore. When I was 2 months old I was adopted by this elderly woman named Genevia Corporal. She raised me like I was her own child. While I was living with her Department of Social Services (DSS) keep on taking me away from her and putting me in all these foster homes. Then when I was about 7 years old they put me in this group home for boys and girls called the Villa Maria. They kept on putting me in all these foster homes while I was living there. They still could not find a family for me. When I was 9 they made me understand why they were doing these things. That’s when I found out that I was adopted. At age 11, they sent me to another group home called Cedar Ridge. Cedar Ridge a home for boys. They are no girls there. They still try to put in foster homes while I was living there. It got to the point where I did not like an of the foster families I was visiting I said “I either want to meet my real family or go back to Baltimore to be with my adopted family. That’s where they got me a lawyer to look for my real mother. At age 17, October 1, 1987 I finally met my real mother. That was an exciting day for me. We been in contact since then. It’s like I been with this family all my life. That I was never adopted. That’s how it feels like. Next year it’ll be my 30 year anniversary of the day we met. At age 19, few days after my birthday I graduated from Williamsport High School. During that summer I went on a couple of vacations. First I went to NY to visit my former foster parents from Cedar Ridge named Eric and Lois Meyer. They made a huge difference in my life. I’m still in contact with them and when I can afford it I still go to NY to visit them. Last year right before my 45th birthday, they came all the way down from NY to spend a couple hours with me. Then they drove 5 or 6 hours back to NY to go home. It so sad that they do that because they have people who lives around the corner who won’t do that. They appreciate me coming all the way from Maryland to see them. By the way at the end of August I’m going to NY for a wedding reception. They consider me like family. The summer of 1989 I moved to the town I was born, Frederick, MD. I moved in with my mother and my 2 younger brothers. I have 2 younger brothers, Dante 41 and Lamonte 37. I have 3 nephews and 1 niece. Lamonte has 2 sons and Dante has a son and a daughter. I would love to meet my niece someday. My father passed away about 35 years ago. I never met or seen my father before. I never even seen a picture of him. I was trying to be friends with one of his relatives on Facebook, but he never responded. I wanted to know my father’s side of the family. I’m still live in Frederick these days. My mother moved to Hagerstown, MD about 10 years ago. Me and my mother switched places. I live in Frederick and she lives in Hagerstown. Williamsport, MD is outside of Hagerstown. In the winter of 1995 when I was 24 years old I found out that I have diabetes. It was New Years Eve (1994) I went to the hospital because I knew that something was wrong with me. I kept on drinking a lots of fluids. Then I kept on using the bathroom. I either had to urinate or go number 2. Everything was liquid when I used the bathroom. My blood sugar was at almost 700. I had rapid weight loss. I loss 60 lbs. between Thanksgiving and New Years Day. Now I’m treating it. This is reason I’m making this my niche because I want to help people with their diabetes, what products to buy, how to control diabetes. Is your diabetes type 1 or type 2? It sounds like you went into ketoacidosis right before you found out you had diabetes. I’ve heard that this can happen to type 1 and type 2. That’s what happened to my daughter when she was almost 2 years old. She lost weight over a period of about a month I noticed and she then got very sick from her body not getting the nutrients she needed. She was diagnosed with full blown type 1, her body produces no insulin at all. But she is doing awesome today, she’s 5 years old now and has a diabetic pump. I really enjoyed reading about you. Seems like you’ve had an interesting life. Thanks Jeanette for reading my about Roger page. I have type 2 diabetes. I’ve been struggling on my diabetes lately. My sugar has been up over 300 today twice. I’m glad your daughter is doing good with her diabetes. If she does good with her diabetes, she can live a long and prosper life. My aunt lived to be 90, she had diabetes since she was in her 50s. My grandmothger lived to be 70, she had diabetes for 40 years before she passed away. I called my aunt up before she died and I told her I had diabetes. My mother told me she died. She told me I had to take care of myself and do the right thing. Now I have to take insulin and pills. If I take both I usually have my sugar under control. you have a great start to your site and I know that what you have is a major problem and it seems that now it is becoming more common with the younger generation. This is so sad because much of this is simply caused by diet. Hello Paul. Last night I was watching this movie that came out back in the 90s. It reminded me of when I was little living in Baltimore. The reason why a lot of young people has diabetes these days is because no one goes out to play anymore. I see people on their cellphones, their tablet, and laptops to occupy their time. Nobody hardly goes outside anymore. When I was watching the movie Crooklyn, it reminds me of what it used to be like when I was growing up. That’s one of the reasons why you see alot of childhood diabetes. When I was growing up we used to ask who got next on the basketball courts, now the basketball courts are empty. It’s sad what the people in this world came to. I might write that in a future blog or on my website. That is so true, Roger. The people surely lack physical activity now. Very sad. These day people don’t feel like doing anything. Hey Roger. I couldn’t find another way to contact you outside WA. But I wanted to speak to you about an opportunity. If you’re open to a side project that won’t interfere with what you already do, contact me. Hey Roger sounds like you are a homeboy. I’m from Baltomore as well. I enjoyed reading your story. I am a nurse so I know firsthand the effects of diabetes. It is a huge problem in this country. What a great niche. 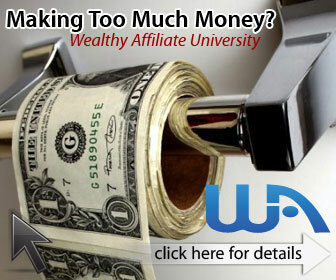 Do you have an account with Wealthy Affiliate? Wanda I appreciate your feedback on my website. Diabetes is a very big problem in this country especially to the young kids. When I was growing up I never thought about diabetes. Thanks Tim. I’m here to help. Thanks Tim. I’m a keep doing that. Touching story! I really love the way you maintain a great attitude through all of the situations that you have been through. It makes me sad to think that a lot of people take their family and situations for granted when you hear about your story and that you struggled through childhood. You have an awesome story. Thanks for making this blog too, and helping people manage their diabetes. I believe you can be great! Great website you have here – very informative! I hope you carry on the good work? !